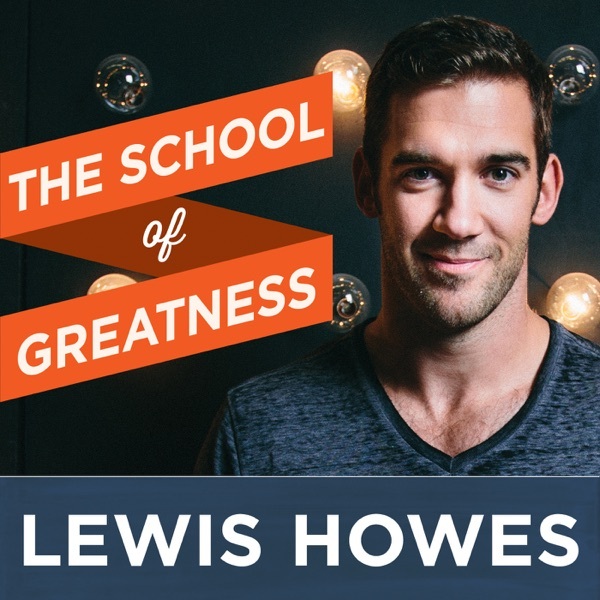 The School of Greatness with Lewis Howes | Listen Free on Castbox. That doesn’t mean you should bail when things are hard.It means that you are not a victim to your circumstances.If the level of the project that you’re taking part in is not up to your standards, you have to leave.You can’t let other people ruin you.Your name is all you have.For this Five Minute Friday, I revisited a conversation I had with writer and producer Phil Rosenthal where he shared the secret to doing work that you’re proud of.Philip Rosenthal is the creator, writer, and executive producer of the sitcom Everybody Loves Raymond. He is also the creator and star of Somebody Feed Phil on Netflix, Exporting Raymond, and I'll Have What Phil's Having.Phil tries to keep his shows at a level that he is happy with. If they’re not working, he is willing to leave and try something else.It’s not easy, but ultimately it’s for the best.Learn how to have high standards and be in control of your narrative in Episode 786. So often, we talk about the importance of discipline in order to reach our goals.But doing the same thing all the time can keep us from living in the present.We have to find a balance.We’ve got to dance with routine and freedom.So how can you keep your mind in the now?Every night, do something unexpected. Travel. And constantly put yourselves in situations where you don’t know the outcome.On today’s episode of The School of Greatness, I talk about the importance of new experiences with a talented futurist and artist: Jason Silva. The relationship you have with yourself is the most important.If you’re constantly putting yourself down and judging yourself, eventually you’re going to self-destruct.It’s common to self-sabotage when things are going well. It can happen to anyone- it doesn’t matter how successful you are.We feel anxious. We feel like a fraud. We might even feel like we don’t deserve it.But once you get to the root of those feelings, you can heal the judgments you have of yourself. On today’s episode of The School of Greatness, I talk with one of the biggest television stars on the planet about anxiety: Maisie Williams. A butterfly doesn’t begin as a butterfly.It has to struggle to get out of the cocoon.We can’t cut the butterfly out of the cocoon to make the process easier. It has to develop the necessary muscles it needs to fly.Its beauty comes from its struggle.Heartbreak, like any other obstacle, is essential for your growth.For this special Five Minute Friday, we hear a solo message from an amazing friend and artist: Humble the Poet.Kanwer Singh aka Humble The Poet is a Toronto-bred MC/Spoken word artist. With tattoos, a beard, a head wrap, and a silly smile, Humble commands attention. He stimulates audiences with ideas that challenge conventional wisdom and go against the grain.Most things are not in our control, and we have to move on from them.The pain that you feel will soon be gone. Time will help you adapt and go forward.Learn how to deal with heartbreak in a healthy way in Episode 783. Having a healthy sexual relationship is important.But it’s not something we often talk about.Women’s satisfaction especially seems to take a back seat.So how can women get what they need in the bedroom?As men, we can ask questions.See what your partner is into.And understanding the science behind why women like the things they do are helpful, too.The truth is a lot of what we believe about female sexuality is wrong. We all benefit when women’s sexuality takes the forefront and is better understood.On today’s episode of The School of Greatness, I talk about female satisfaction with an incredible woman who wrote a book on the subject: Wednesday Martin. We often hold onto words.When someone gives us negative feedback, we can let it consume our minds.It’s not healthy.You can’t stop yourself from being offended by what someone says. But you can listen and be open to learning.Every time you mess up you’re making yourself better.On today’s episode of The School of Greatness, I talk about making the most of opportunities and learning how to listen with one of the most successful actors of our time: Topher Grace. Some people have an idea of giving that is not sustainable.You can’t self-sacrifice endlessly to help others. You also have to take care of yourself.Giving can be a win/win situation.In fact, it should be.Helping the world is only worth it if you are also helping yourself.For this Five Minute Friday, I revisited a conversation I had with Will Macaskill where he shared this idea as one of his principles of effective altruism.William MacAskill is a philosopher, ethicist, and one of the originators of the effective altruism movement. He is an Associate Professor in Philosophy and Research Fellow at the Global Priorities Institute, University of Oxford. He is also the co-founder and president of 80,000 Hours, the co-founder and vice-president of Giving What We Can, and the co-founder of the Centre for Effective Altruism.Learn how to help others in the most meaningful way in Episode 780. What gatekeepers are holding you back from doing what you love?I’m inspired by the creators on YouTube.They are people who have forged their own path.They didn’t wait for someone to allow them to make videos- they just went out and did it.They’ve dealt with negative comments. They’ve had failed videos. They’ve faced countless setbacks. And they still continued to create.You have to give yourself permission to find and express your true self.On today’s episode of The School of Greatness, I created a mashup of all my favorite interviews with the women of YouTube: Lilly Singh, iJustine, Bethany Mota, and Lindsey Sterling. I’m not a distance runner.When I run, the first few minutes are easy. But after a mile, it starts to hurt.I can either stop there, or I can keep going.When I push through the adversity, I feel like I can run forever. I hit the zone where it doesn’t hurt anymore.The same thing happens in life.You have to keep giving it your best even when it’s hard. You have to know that something great is waiting for you on the other side.Everything you’re going through now is paving the way for success in your future.On today’s episode of The School of Greatness, I talk about passion and hard work with a woman who revolutionized the dessert industry: Christina Tosi. What is this place?Are we even really here?Is there a higher power that created us, or was it a random explosion?These are some big questions.But the odds of life actually existing are insane. Everything would have had to had come together so perfectly.It’s hard for people to wrap their minds around, but we need to admit there is so much about the universe we don’t understand.For this Five Minute Friday, I revisited a conversation I had with John Brenkus where we discuss how the soul and science can meet.John Brenkus is a six-time Emmy award-winning creator, host, and producer of Sport Science on ESPN. He is also co-founder of BASE Productions and a New York Times bestselling author. He currently hosts his own podcast The Brink of Midnight.He dives into the idea of time and how humans put labels on things that are hard for our brains to comprehend.I really enjoy the way that Josh is able to explain complicated scientific ideas.Learn how to think about the miracle of life in Episode 777.